When it comes to building and remodeling, we know this to be true: there are lots of choices out there. How do you know which builder is the right one for you? In a word: trust. You need to trust your builder to listen to you so you can begin to build a solid relationship. Then it’s easy to work together to get your home the right way. The builder to choose? Steve Brann Building. 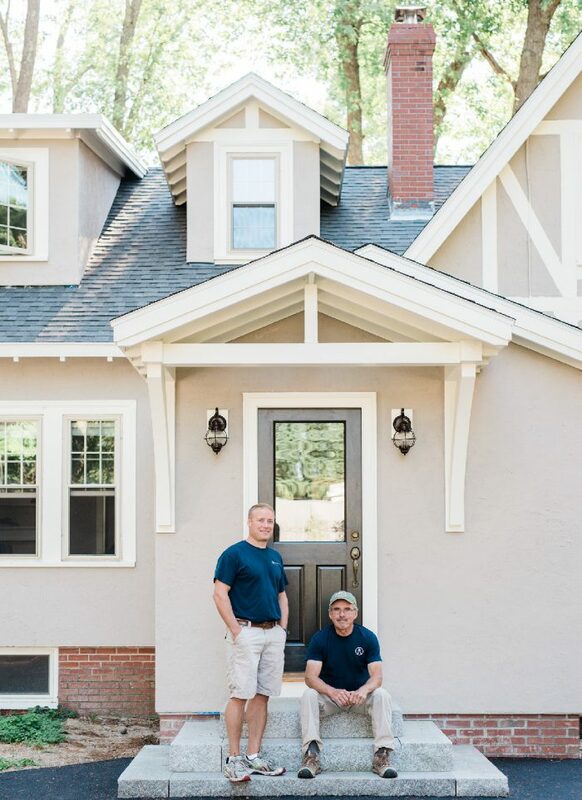 We’re a father and son team who believe first and foremost that building solid, trusting relationships with our clients is key to the success of a project. From new construction to renovations and additions, we form a relationship based on trust and communication from the start. At our first meeting we’ll sit and talk to understand your wants and needs, look at your plans, and then create a realistic estimate and timing schedule. Father and son run the business together. We know that since our name is on your project, you can be certain we care about complete client satisfaction. With our combined 50 years of experience in the industry, we’ll put our knowledge to work for you. Together, we lead a team of highly skilled in-house carpenters and a select group of subcontractors who meet our exacting standards. The team philosophy is professionalism, integrity, and respect. The right way to get home.